Tank Solutions is pleased to announce the acquisition of Mullaly Engineering. Tank Solutions will now sell Mullaly branded wastewater tanks for pre-packaged pump station applications. 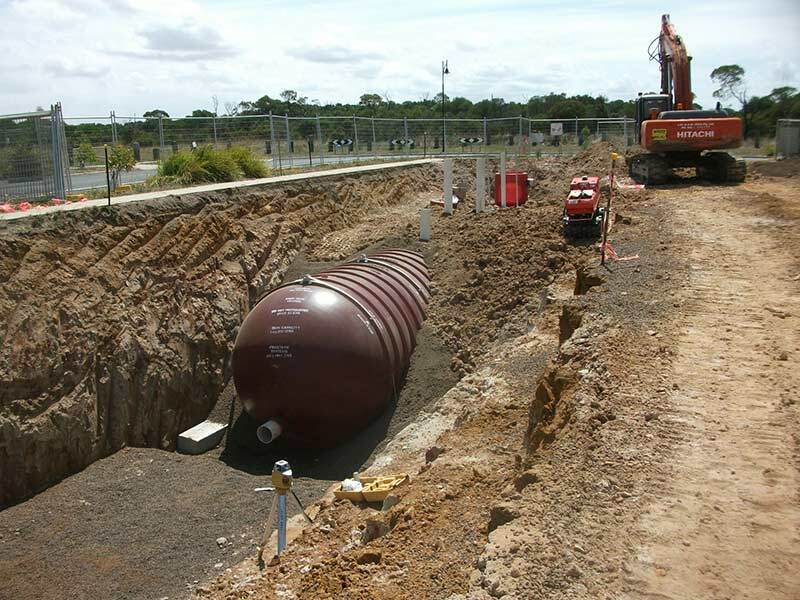 The tanks will be manufactured at one of the Tank Solutions manufacturing facilities in either NSW or WA to meet customer geographical needs. Whether it is a single valve pit or a multi-product solution required, our engineering team develops drawings for each solution delivered. We work closely with the consulting engineers to ensure the engineered solution delivered will meet the issues the project presents. The design of our solutions are certified by a Composite Engineer. Mullaly brand Wastewater tanks are WSAA approved FRP tanks. Please call Tank Solutions Pty Ltd on the east coast or GRP Tank Solutions if in WA or SA to discuss your needs.